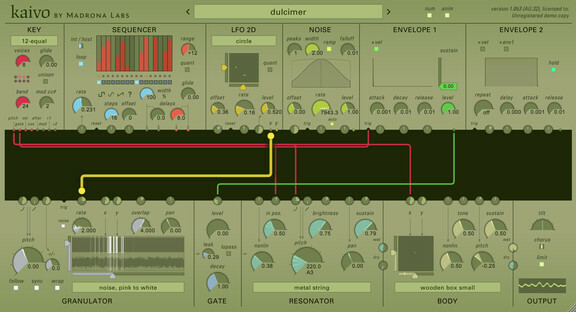 Madrona Labs has announced the release of Kaivo, a new software synthesizer that combines granular synthesis and physical modeling, with a patchable interface designed for ease of use. The Kaivo semi-modular synthesizer by Madrona Labs. Physical modeling is a way of making sounds using equations that model vibrating objects in real time. Like a picture is sometimes worth 1000 words, a physical model is worth 1000 samples. Every time a model is triggered, it makes a slightly different sound due to the initial conditions when the sound starts. This subtle variety can quickly give a very lifelike quality to sounds that would be tedious to recreate with sampling. 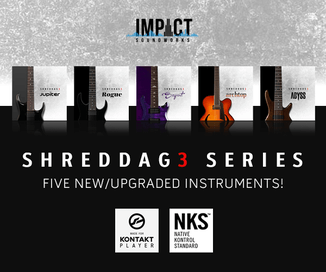 Kaivo’s models include metal, nylon and gut strings, different sizes of chimes and springs, wooden instrument bodies, membranes and metal plates. Kaivo brings some of the latest academic research in physical modeling to a patchable package for the first time. Mathematically speaking, its finite difference time domain (FDTD) models let the player reach inside the instrument and affect the internal vibrations at any point. This allows for a fine degree of realistic detail, like the bridge rattles on a “gut string” model, for example. And while Kaivo is capable of making very realistic sounds, it is also designed to apply this subtlety to abstract creations. Expansive spatial sounds are possible in Kaivo, with independent panning available on grains, resonators, and body. Kaivo’s granulator feeds all of its models from a 2D map of sound with up to four channels. The body is a true 2D vibrating model of a physical object, with left and right pickups that create a spatialized mix of all the frequencies flowing through it. Users of Madrona Labs’ Aalto synthesizer will find Kaivo’s design very familiar, with its fully resizable, vector-based user interface. Every control is on a single page. The patcher in the middle makes it possible to create complex patches quickly and easily, with connections that can never obscure other controls. “Kaivo” is Finnish for “well,” as in, a deep well of sounds. Kaivo combines the natural qualities of vibrating objects with a huge potential for experimentation. 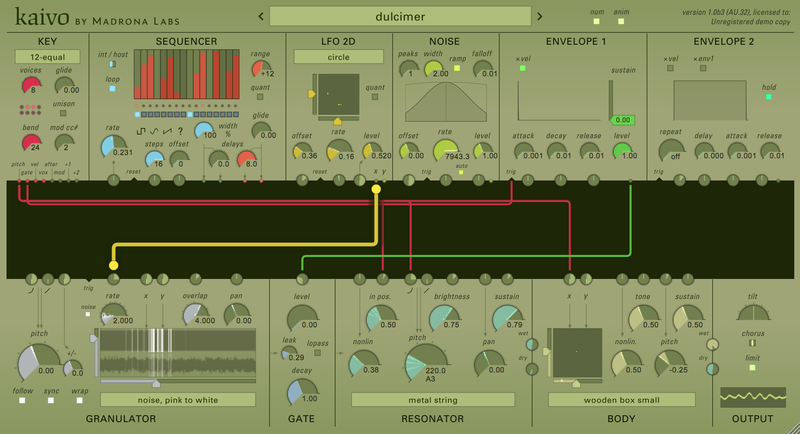 Kaivo for Windows and Mac (VST/AU) is available to purchase for $129 USD.